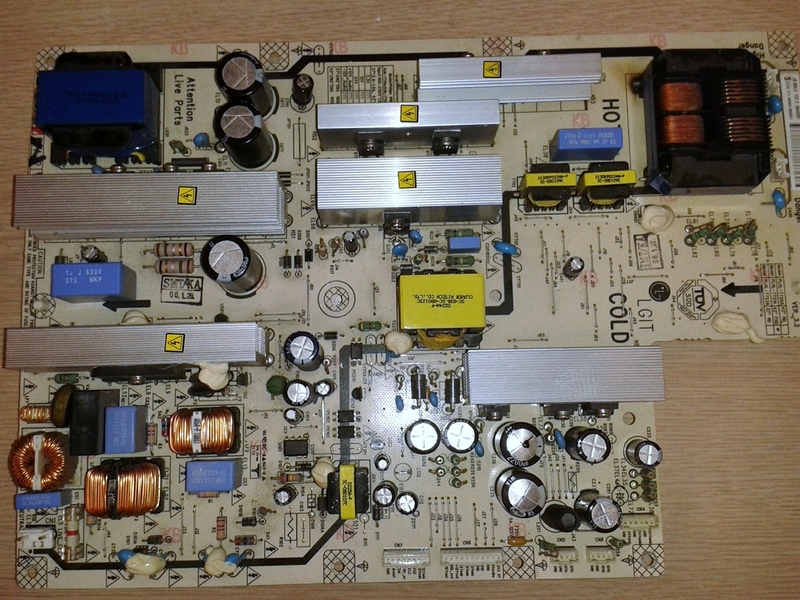 Coppell TV Repair LLC offers a REPAIR SERVICE for power supply board PLHL-T721A / 272217100569 / 2300KEG031A-F as shown on the picture and used in a number of 42'' LCD TVs. 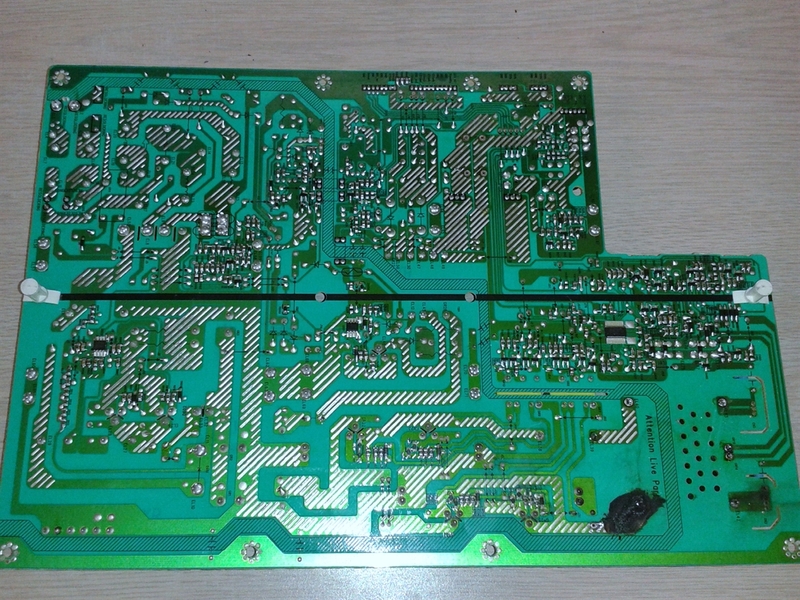 REPAIR SERVICE means that you have to send in a malfunctioning board which we will diagnose, service, test and return back to you. There are different ways we've seen those boards fail and different failure symptoms. Some of those symptoms are fairly easy and distinguishable, others can be confused with failures on other boards. It is fairly likely that this is caused by a failed power supply board. It is also possible, however, that it may be due to a failed main board. Finding an open fuse on the power supply - e.g. F1 (next to the AC inlet connector) - or a visibly burned component such as U101 is a sure sign of a failure. This is very similar to the above situation where both power supply and another board - not necessarily the main - can be causing the problem. 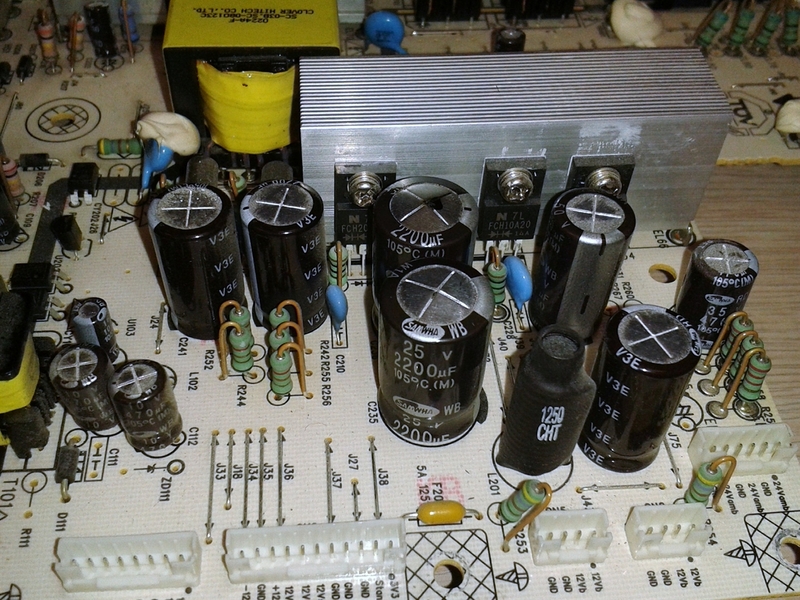 Observing bulging capacitors on the power supply can be a good indication the problem is there. This is actually true in all other cases - bulging capacitors are always something to be concerned about, even though they may sometimes NOT be the source of trouble in the individual case. TV powers on, possibly with an image for a second, then the display gets dark, but the TV remains on. If configured on proper input/channel it produces sound. This is a fairly reliable indication the problem is in the power supply board. Often times there will be signs of burning around the transformer T701 at the top left side of the board, on the front and on the back; burning can sometimes be extensive and look not repairable, but often times it actually is. 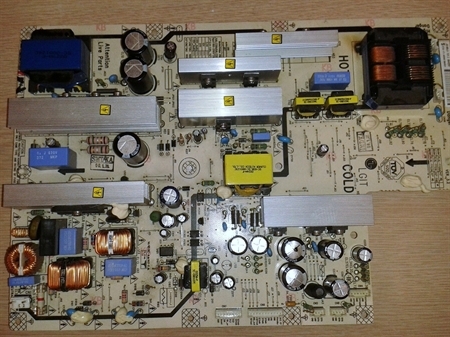 For other useful information check out the other articles at http://blog.coppelltvrepair.com or our main site http://www.coppelltvrepair.com .